ABC Kitchen NYC Vegan Dinner - Review! Last night I enjoyed an amazing vegan dinner at ABC Kitchen. The occasion was a birthday dinner for my husband (G). He always seems to have the best of luck with bday dinners - example, Dirt Candy last year. And today, we both can't stop raving about the blissful yumminess of our ABC feast. ABC Kitchen sits at the top of Union Square here in NYC. 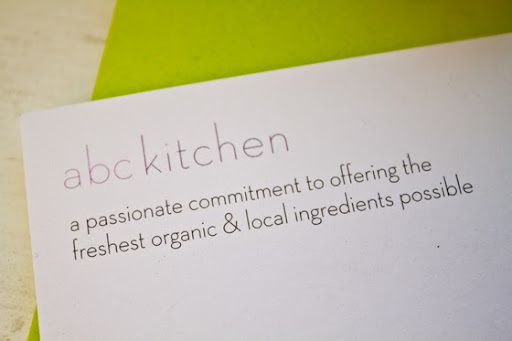 Their tagline: "a passionate commitment to offering the freshest organic and local ingredients possible." 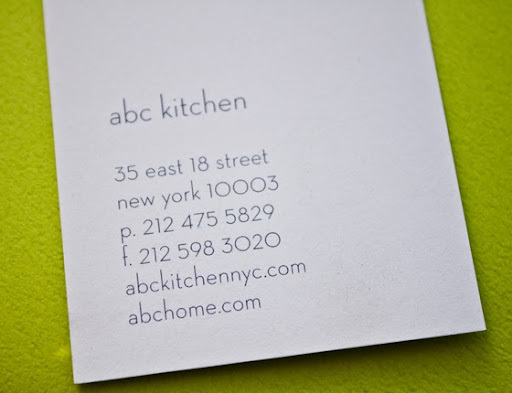 ABC opened about a year ago to rave reviews and was created by one of my favorite chefs, Jean-Georges Vongerichten. Truly the best part of my ABC experience (besides the brilliant food) was my server Daniel. The first words out of his mouth as he swooped up to our glossy white table were "You write a food blog right? I'm a fan! 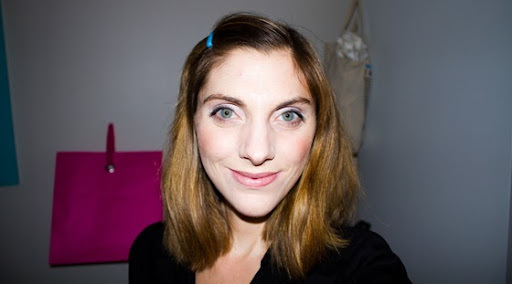 I love your blog!" A big smile spread across my face - so fun! Daniel helped me curate a dreamy ABC Kitchen vegan feast. Let me share my ABC experience!.. Ready to head out and eat!.. organic in a every way possible. food. design. logo. 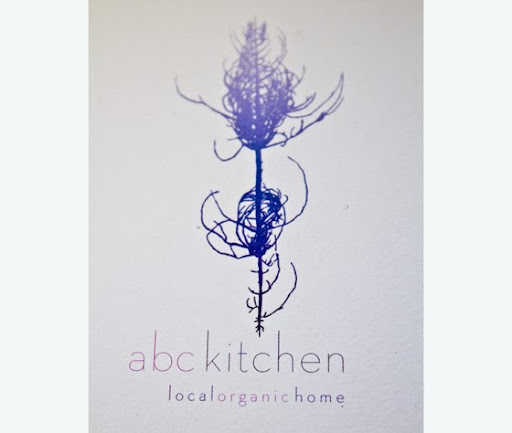 When ABC Kitchen first opened, I was ecstatic to read about it on JGV's blog - and reviews were popping up online (like this NY Times Sam Sifton review) - all raving about ABC as a new trendy, modern, ECO-chic "farm-to-table" style restaurant. I had to check this one out for myself.. 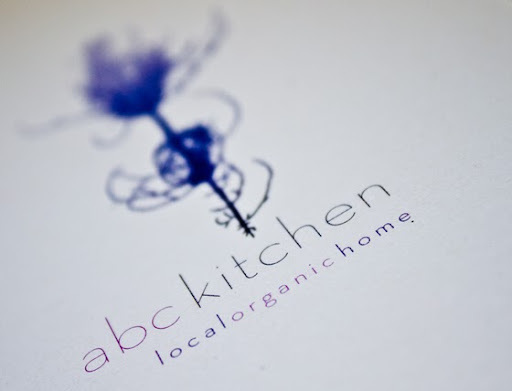 So lets get to my ABC Kitchen Review!.. Again, special thanks to my bright-eyed, vegan-tastic server Daniel who was incredibly helpful at curating my perfect vegan feast. Friendly and fantastic. Night Out. Around seven o'clock I called ABC for a last-minute reservation. The earliest spot was 10:30pm - but I said "I'll take it!" since I was terribly eager to visit. The special occasion was my G's birthday - and we cruised into the restaurant around 10pm. 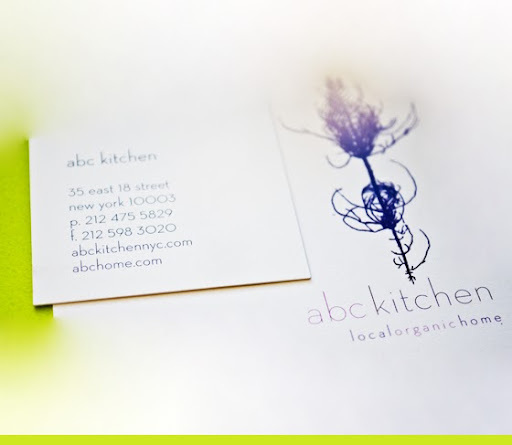 ABC Kitchen sits just above Union Square at 35 east 18th street. True, it was a Tuesday evening after 10pm - but ABC Kitchen was packed with energized diners. They sat cheery-faced under the glow of gold and silver lights - the dining room was a wide sprawl of glossy white tables. Up front was a crisp, sleek, sparkly-lit bar area. ABC's decor is rustic-modern. Garden-meets-urban. Outdoor-meets-indoor. To say it has an 'organic' feel is an understatement. White twinkly lights, crystal chandeliers, wooden-beamed ceilings, dainty golden-glowing industrial hanging light bulbs and tiny flowers in tiny vases at every table. Floral accents everywhere. The dishes and silverware are an eclectic mix of textures, colors and patterns - just as you would find at someones home - that is if they had a gorgeous little country farmhouse with modern spotless design flair! The sparkling water we ordered came out in wide glass bottles, the bubbles shimmering next to the tiny white candles. The napkins were rustic white and blue striped dish cloths. The white tables and chairs a heavy smooth texture - perfectly blending into the pastel-artwork speckled walls. Clementine Fizz - amazing! Tasted like biting into a perfect, juicy clementine. Skyy Citrus Thyme Vodka Lemonade - sweet and sassy. fab. Blood Orange Bellini - rich blood orange color and taste. My husband kept saying "now that's tiger blood!" yum. Roasted Kabocha Squash Toast with apple cider vinegar - there is a reason I am putting this dish first - it was my favorite thing of the night. Everything was fabulous, but this sweet-potato-like toast stole my heart and my taste buds. Creamy bright orange squash was slathered onto olive oil soaked toasts. Kinda like squash bruschetta. Accented with that tangy cider vinegar and a hint of spiciness - this simple dish was fabulous. And funny enough, it originally comes with ricotta cheese - but to all you non-vegans out there, try it without the cheese! It really doesn't even need it. Roast Carrot and Avocado Salad with seeds - Daniel said I simply had to try the carrot salad. I love carrots, so I was in. I wasn't expecting the 'salad' to be so fabulous. I expected some perfect greens and a few roasted carrot bits. No way - this salad was huge and incredibly flavorful. Chili-infused roasted mini-sized carrots lay across the plate and a generous portion of perfect micro greens, seeds, avocado slices and EVOO soaked croutons on top. This salad was gorgeous. Lots of vitamin A for us so far!.. Roasted Brussel Sprouts with Mustard Vinaigrette - I'll let G's post-sprout reaction explain this dish. G hates Brussel Sprouts. But I knew these would change his mind so I shoved about 5 giant sliced sprouts onto his plate. He gasped in delight. "Wow, these are amazing." He even spooned a second helping of sprouts onto his plate. Case closed! Somehow, the chefs managed to remove all the 'bitterness' associated with brussel sprouts. Veggie candy indeed. Tasty gems. These tender little bites drizzled in a bright spicy-sweet mustard sauce are a must-try (even if you think you hate brussel sprouts). For our entrees, G and I ordered half-sizes of the pasta. (They come in two sizes small and large.) But really, since I had already chowed down on so many delicious things, this was the perfect size of pasta. They made me a vegan dish with tons of roasted mushrooms and some tender broccoli rabe tossed in as well. All tossed in a flavorful olive oil. My pasta was fabulous. G ordered a non-veg pasta and also raved. He also ordered the scallops as a starter and said they were the best scallops he ever tasted. But the funny side note is that he actually said he probably should've just ordered vegan pasta like mine because it meshed so well with the rest of this veggie-infused meal! We were stuffed so all G and I could manage was sorbet. But I love a good sorbet.. We split three scoops of sorbet: Apple Cider and Banana flavors. My husband ordered a soy cappuccino as well, which I sipped - it was very good. So rad that they have soymilk for their after-dinner coffee bevies. So overall you can see that I'm gushing, raving like a lunatic really, over ABC Kitchen. During dinner, G and I started listing our top ten fave restaurant experiences ever. Among them, Pure Food and Wine, my vegan feast at Le Bernadin, our wedding feast at the Mandarin Oriental in Miami, Dirt Candy, Blossom, Kitchen Club, our fave spot in Paris - and more, all made the list. And now I have to squeeze one more spot onto our top ten list: ABC Kitchen. Will I be back? No doubt, yes! Bravo Jean Georges! And thanks Daniel and all the talented employees of ABC. Keep the organic, local deliciousness coming! Luxe Smoothie Bar? Yes, they have that too! They have a stellar juice and smoothie bar with some exquisite concoctions. Serious Eats asked if $12 for a smoothie was extreme - but after dining and drinking at ABC - I say no way! The quality is off-the-charts fantastic. This is no corner store smoothie bar. This is the gold standard. Why ABC? It doesn't look vegan. I've been curious about it ever since it opened. And I'll admit that when I first glanced over the menu I wasn't sure if "vegan" would be easy. Would I just end up ordering an all-veggies meal? No way. It was glamorously vegan. Grains, seeds, veggies - divinely satisfying. My meal was easily made vegan. Thanks JGV! Vegans Love JGV! You may recall I have done several posts about JGV - including his love of vegan Almond Butter Toast and his vegan-friendly attitude. Seriously, I think I could go to any JGV restaurant and always get a stunning vegan meal (even if the menu doesn't appear vegan). And that's why I adore JGV. Read JGV's blog here. See the menu and restaurant details at ABC Kitchen's Website.